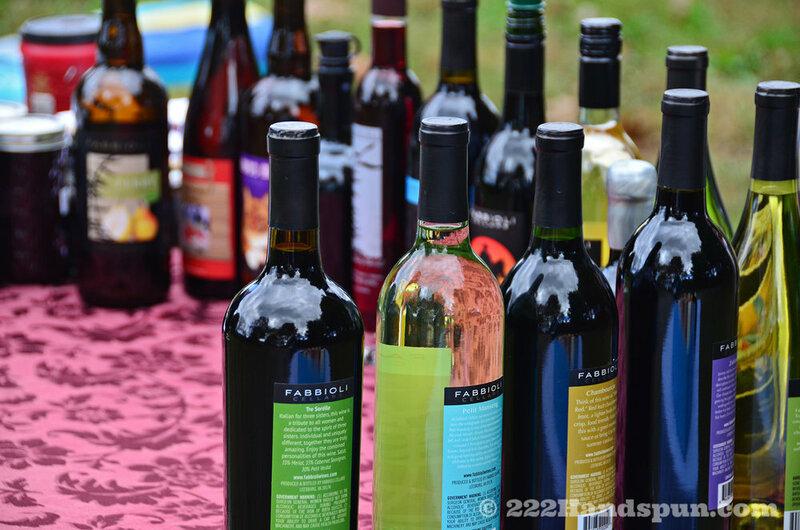 Update: I didn’t mention Martha’s husband, Stephen Budiansky (not on purpose!) but he was kind enough to provide me with more info just now. 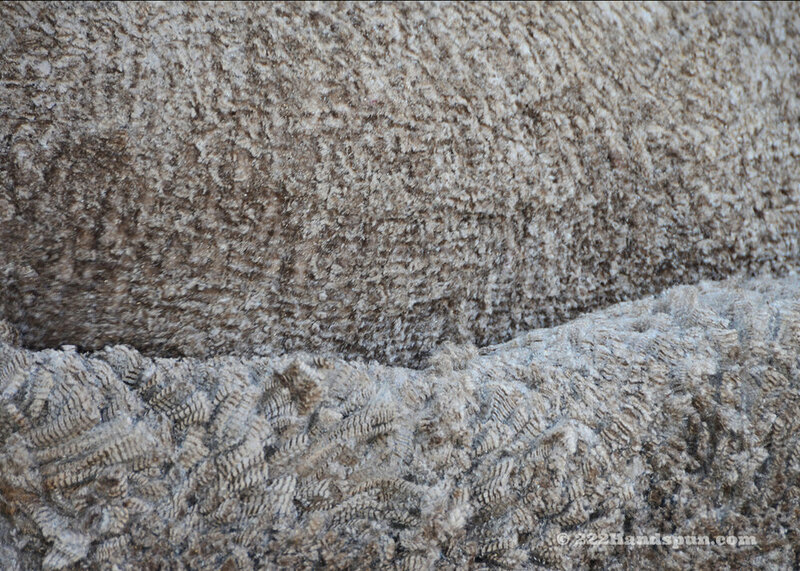 I didn’t realize who he was when he was when he was out walking Norman the draft horse around the farm because I was so entranced by the gentle giant and trying to get photos. I’ve also updated to include other names for clarification. Dear readers, if I’ve missed anything else, please let me know! 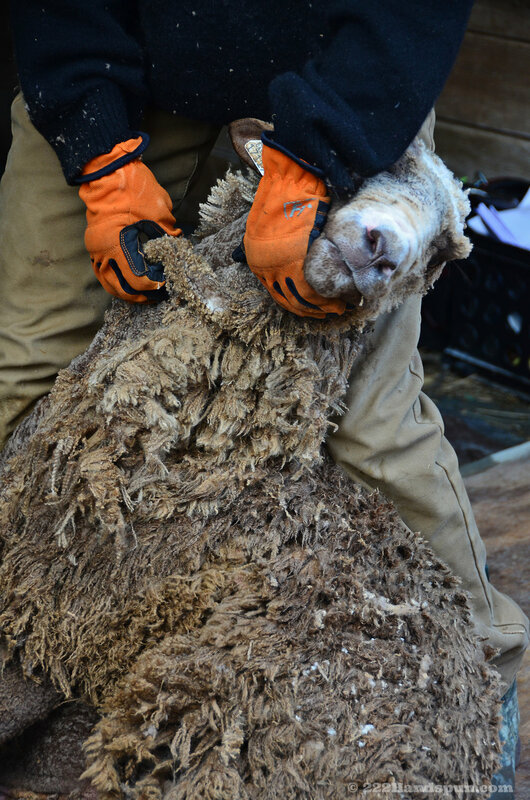 I was really excited for this field trip for several reasons - mostly because I adore Merino wool and Black Sheep Farm is one of the few growers of this coveted breed in the region. 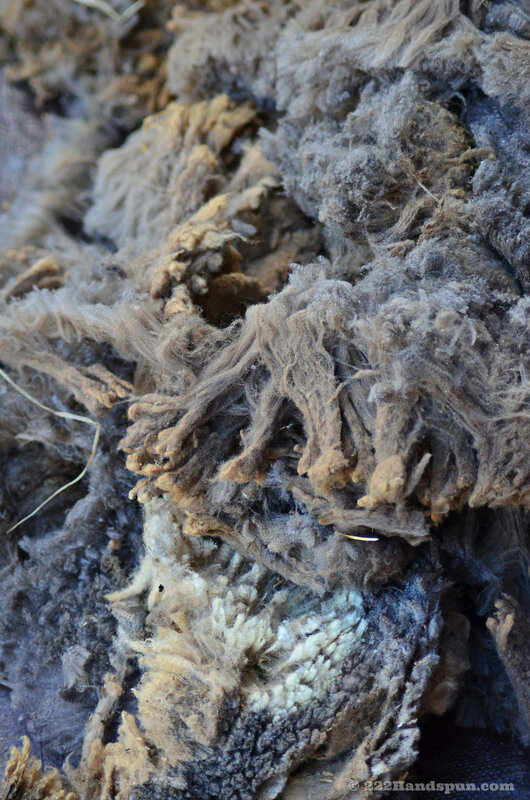 Black Sheep Farm also has some of the best quality fleece and it was a great opportunity to hand pick from their supply. 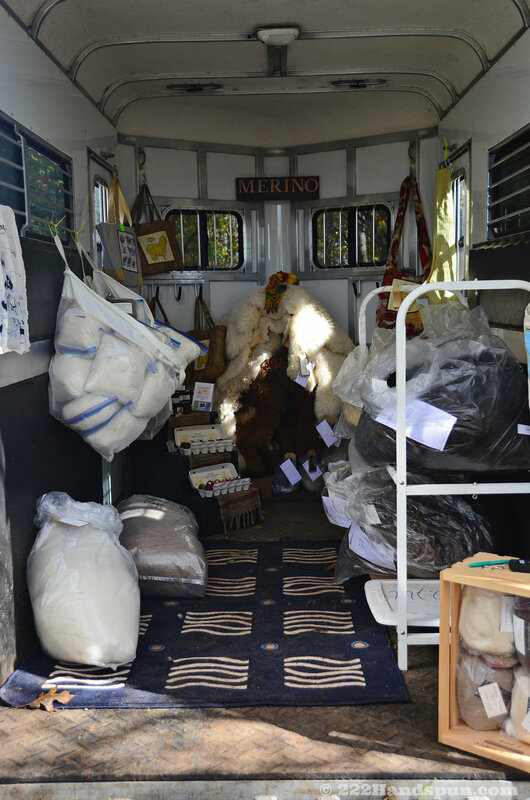 They had a cute trailer filled with Merino fiber goodies and Solitude had their booth set up along with some other local vendors including Fabbioli Cellars and goat cheese tasting from Georges Mill handcrafted cheeses. 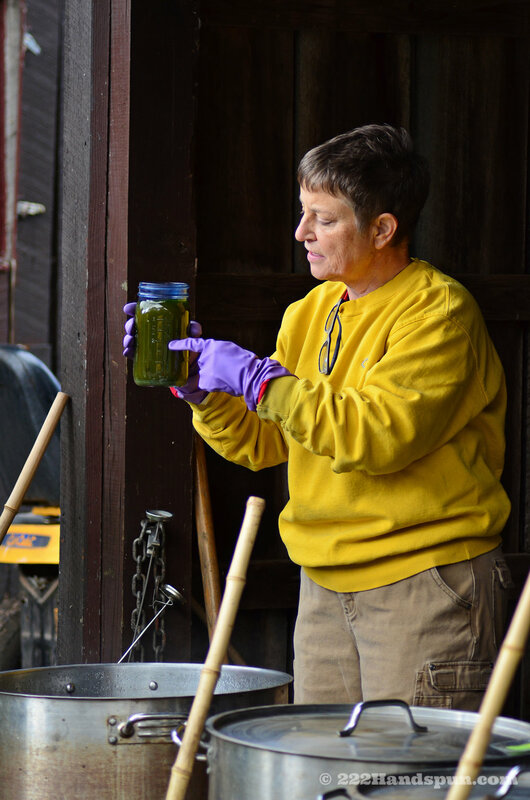 Gretchen Frederick and Debbie Deutsch from Solitude were doing yarn dyeing demos with natural dyes including indigo, marigolds, and cochineal. 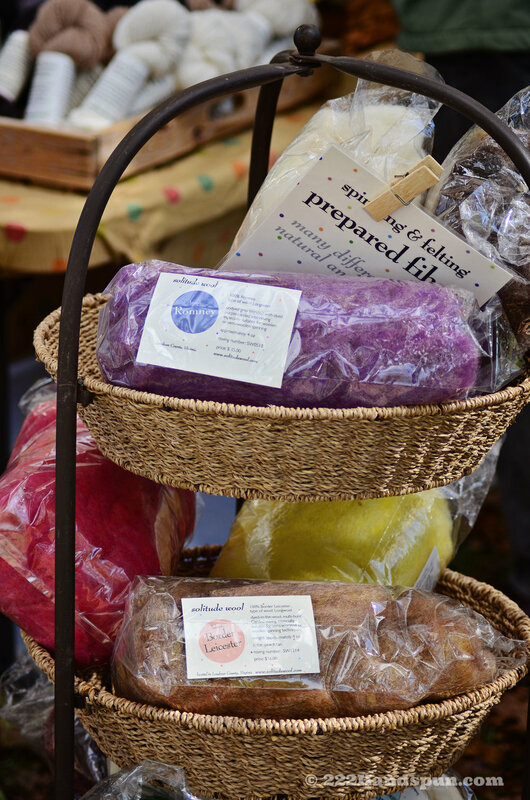 Other class offerings included felting, spinning with Merino wool, and knitting. 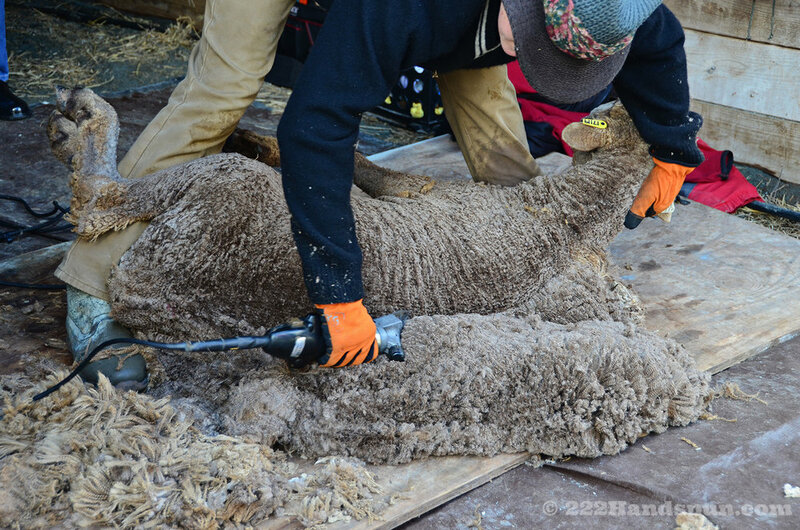 I was there to take photos and check out the new lambs and watch shearer Leanne Reuter expertly part the precious fleece from three of Martha’s sheep. 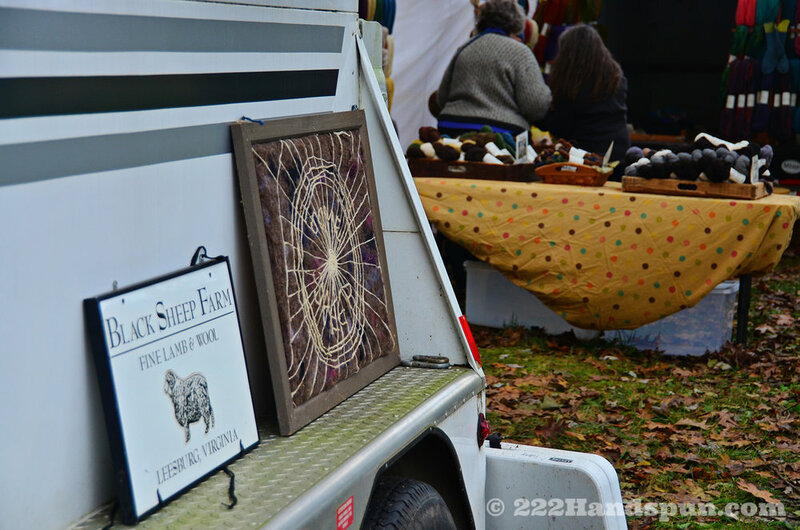 There was a great turnout and steady crowd of people to shop and check out the sheep. 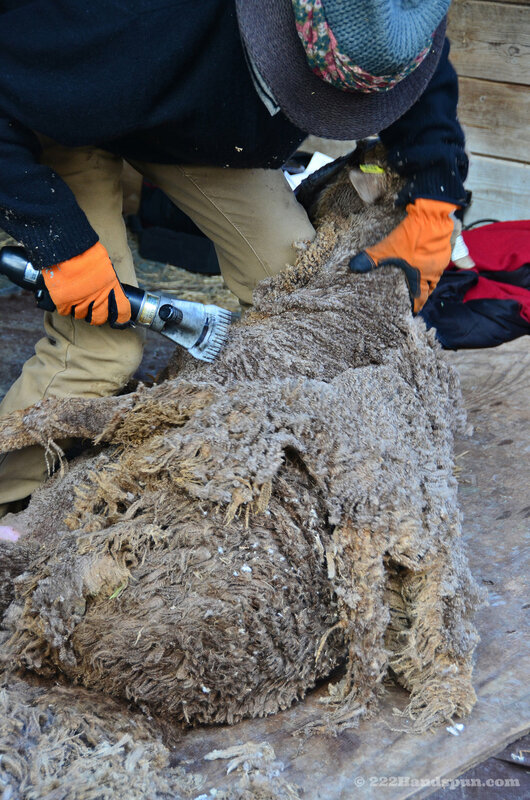 I’ve been immersed in the fiber world for about ten years and I sometimes forget or take for granted the knowledge I have about the ins and outs of sheep and fiber. It’s fun listening to peoples’ questions and thinking back to when I was just getting started and asking Gretchen and Sue the same things. 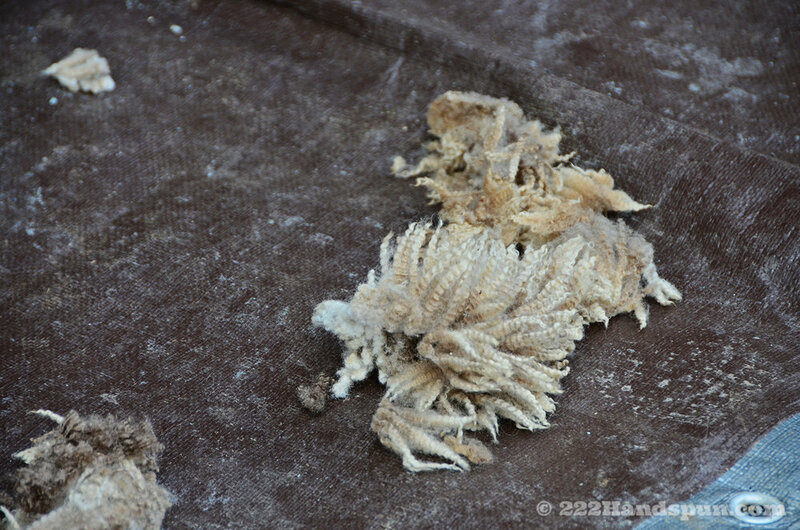 Now with additional business partners, they’re still doing a wonderful job educating and exposing people to this dying art and profession, whether it’s using natural plant dyes or shepherding and raising fiber animals. I’m so happy that these ambassadors for the fiber world are still so passionate and generous in passing on their wisdom and insight. I tasted a sample of some yummy fresh goat cheese and bought some homemade raspberry jam. 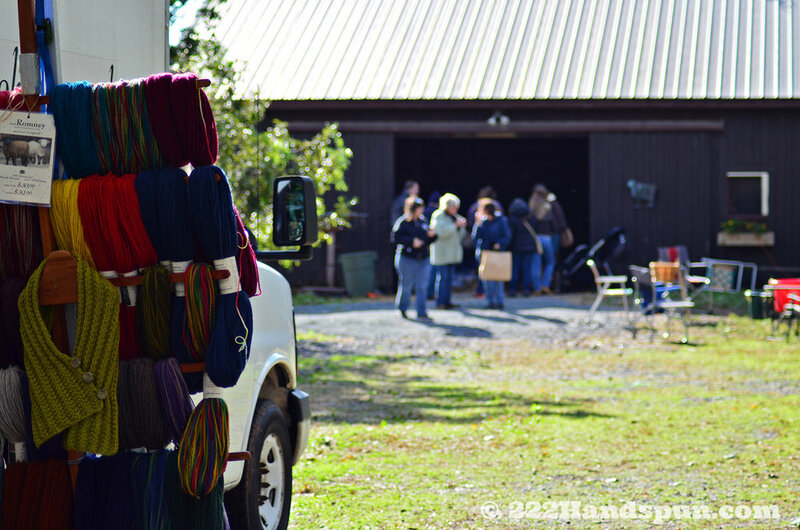 Then I caught up with a few fiber friends and listened to their stories of their recent Rhinebeck adventures. 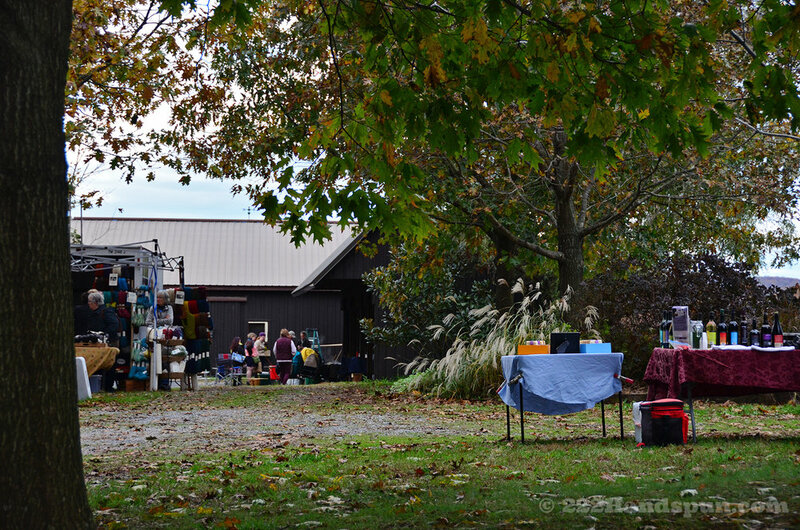 Gretchen and Debbie dyed some yarn while others learned how to felt flowers in the barn or took classes inside the house. 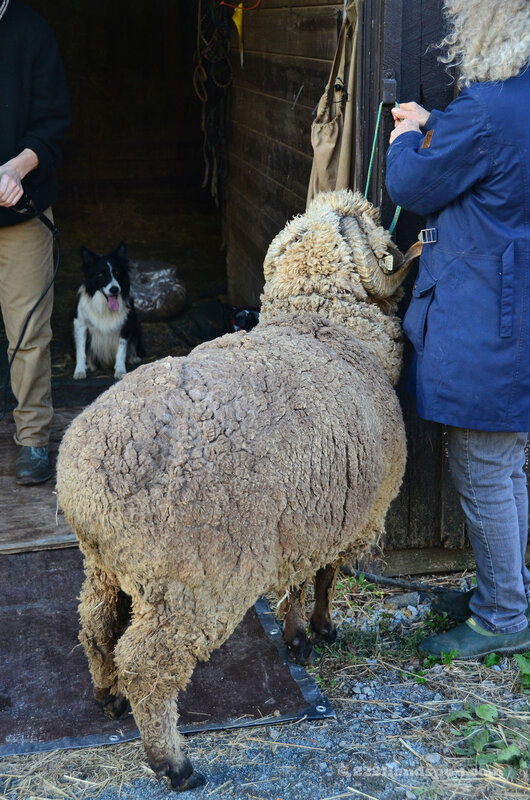 I took photos of some sheep outside on the hill and then walked around to the barn to hear Martha talking about caring for the flock. There were some little lambs inside with their mommas and Enzo, the livestock guardian dog, greeted everyone and watched over the proceedings. He got some belly rubs and head scratches and quietly stole the show. Enzo is a mixed Great Pyrenees and Maremma Sheepdog who although is well mannered and friendly, is also alert to everything that is going on and will protect his charges when needed. 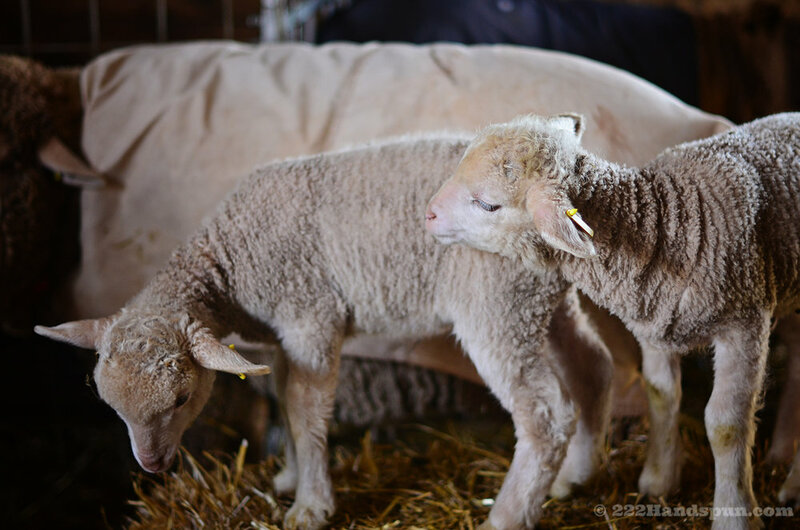 One of the cutest things was watching the little lambs in the pen vie for the top of the hay pile. 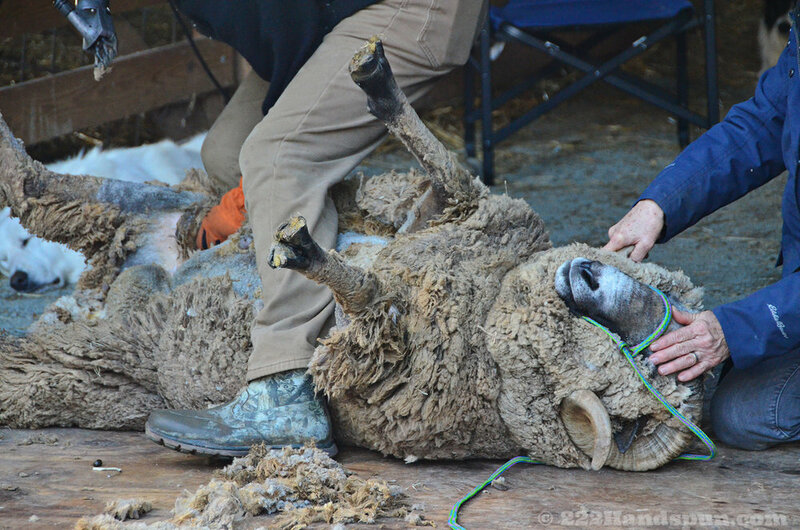 The moorit one shoved off one of the white lambs that was taking too long with his turn and stood atop the bale like a conquering hero. This happened again and again as they competed for the prime spot in a steady rotation up and down and around and around, stopping to rest for as long as they could until pushed out. 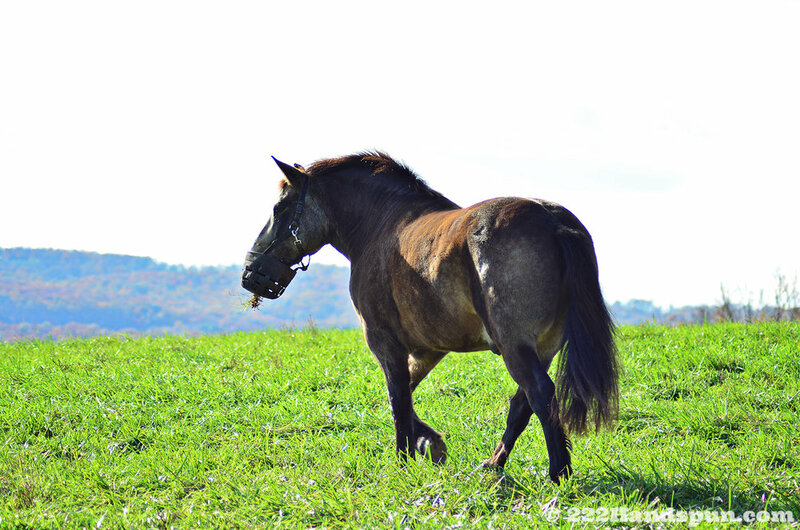 They were also very interested in what was going on outside the barn and replied to the frequent bahs from the outsiders with their own distinctive baby sounds. Soon they will be old enough to venture out under the careful watch of their mothers whom they know by sight, smell, and sound. 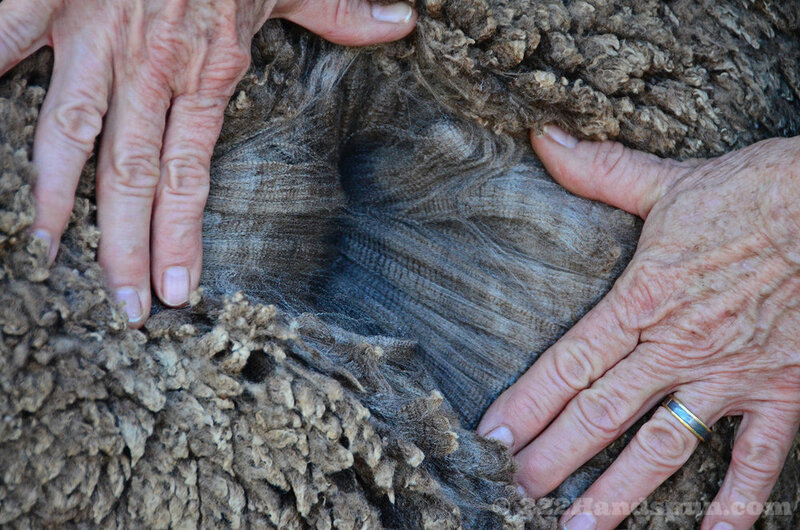 The shearer, Leanne, explained the challenges with shearing Merino sheep due to the many folds of skin and dewlap they have on their neck. 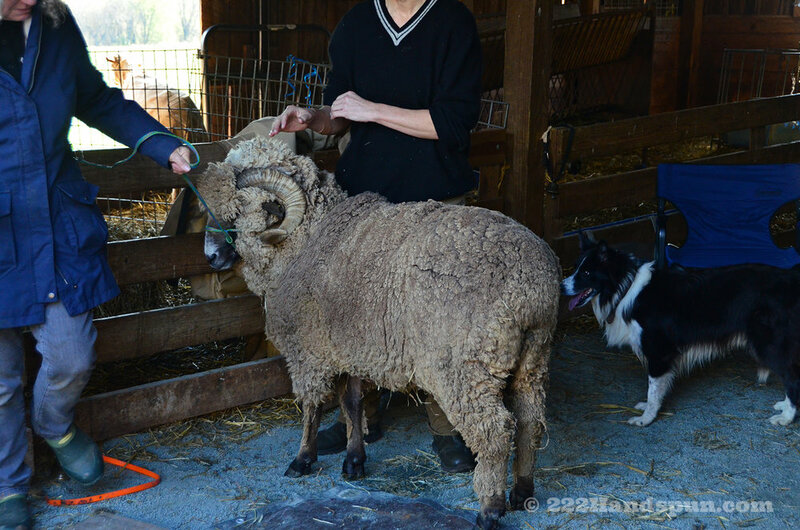 She was extremely careful to not make any nicks or cuts and took her time with the three sheep: Liam, a one year old ram new to the farm from California; Desdemona, a lovely yearling ewe; and Tolstoy, a handsome two year old ram with big curling horns. Their beautiful draft horse, Norman, (of unknown breed) posed for pictures as Stephen took him for a stroll around the farm between shearing. I don’t know why but I love the little topknot wool. Most people throw it away, but I use it in my art yarn or felting. 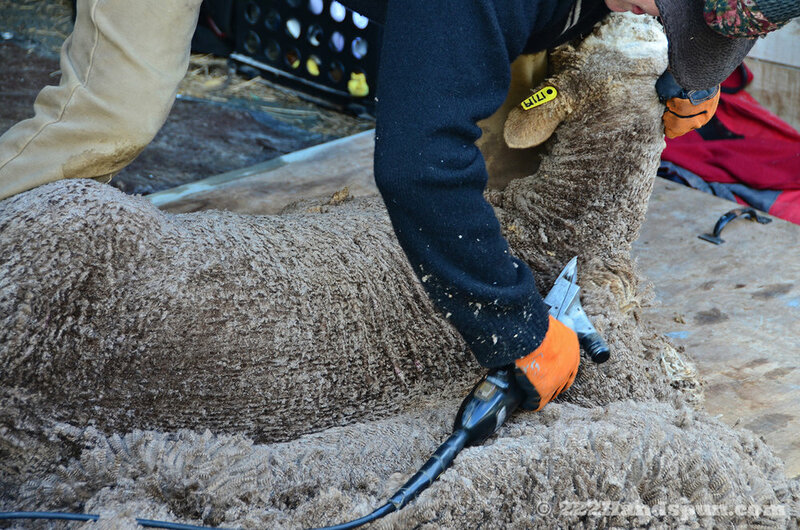 Here is a short video clip of Leanne shearing. 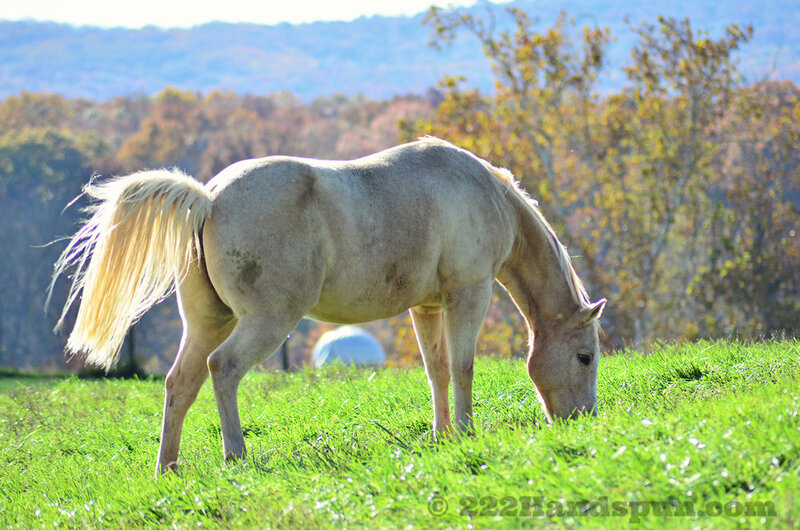 Besides the sheep and dogs, they have two beautiful horses, a draft horse and Quarter horse that I spotted in the pasture as I was getting ready to leave. What a beautiful afternoon to spin on the porch. I had such a lovely time. 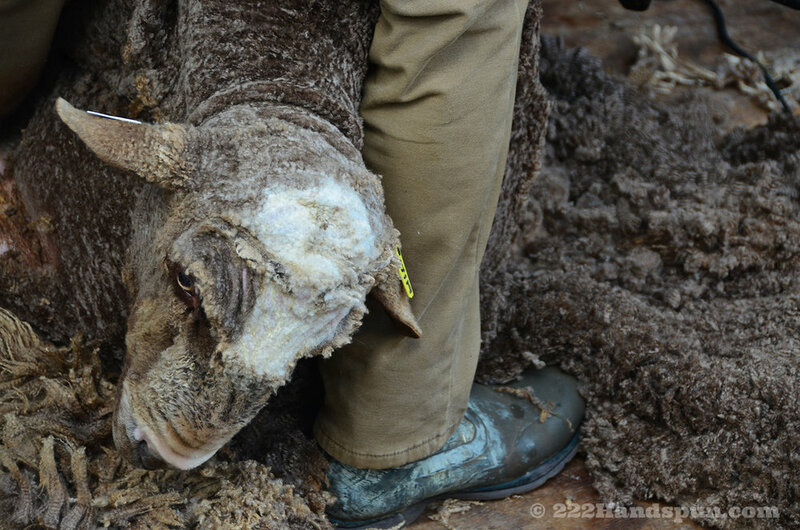 Thanks to Martha and Solitude Wool for their hospitality and another wonderful and educational field day!